The best cricket game you’ve never played (but really, really should) is getting a sequel later this year. 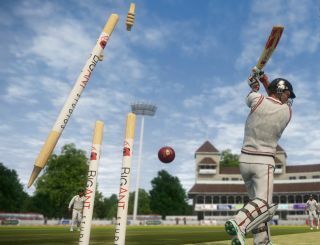 Don Bradman Cricket mightn’t carry the same lustre as the Mega Drive and PlayStation Brian Lara games, but it offers a much, much more authentic round of willow-swinging and wicket-smacking – and its 2014 release is now getting a follow-up. What’s more, the truly committed among you can experience it right now, via a Steam demo. 200,000 fan-created players from the first game will all be importable, but those wishing to create their favourite teams – past, present, or fictional – from scratch are promised ‘photo realistic skin tones’ (which seems highly ambitious) and a selection of tattoos. On the field of play, developer Big Ant says it’ll be possible to alter a host of player roles and mentalities. Don Bradman Cricket 17 is released on PS4, Xbox One and PC in December 2016.